Before going on, I should point put that the English word feelings misses the mark. The word translated is vedana, which is not “feelings” as in “emotions.” The latter tends to come in a complex package that is made up of both affect and thought. In fact, all emotions come from thought on some level and cannot be separated from it — for instance, anger is usually an emotion that issues from some perception of injustice, and love is inextricably tied to some thought of the good and the beautiful. When we hate someone, it is because we think they are bad; and when we despise or admire someone, our feelings flow from conscious evaluation. 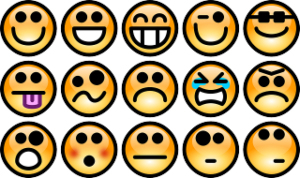 With normal emotions, we cannot contemplate feelings in feelings, stripped away from other aspects of mental life. The Buddha — in his penetrating observation of everything that goes on inside a person — drew into the foreground one level of our experience that usually goes unnoticed and undiscussed. We have six sense faculties that are made to sense six kinds of things. (For Buddhists as for Hindus, the sixth sense is the mind, which is both the internal sense organ and also the sense that brings together the perceptions of the other senses, as when we realize that the orange object sensed by our eyes, the sweet but tart object sensed by our taste, and the spherical object sensed by our touch, are in fact aspects of one thing, namely an orange.) When we sense something, there is a perception, but there is always simultaneously a feeling tone to that perception. To take an analogy: a cook makes a dish for the king, gives it a taste-test, and finds it acceptable; the king tastes it and also enjoys it. Both cook and king might have the same taste-perception of the dish, but their reactions on tasting are what the Buddha is calling vedana or “feelings.” Clearly, the vedana and the taste-perception are not separate, but they are distinct. If the cook makes the identical dish every day, after a week the king might have the same taste-perception of this dish, but the feeling may have turned to dislike. Thus, while feeling and perception come together, the specific feeling is not intrinsic to the perception. Another strange fact regarding vedana is that with any given sense perception we usually cannot help feeling what we feel, and what we feel can often surprise us. The observation that there is such a dimension to experience as vedana is both original and profoundly important in the Buddha’s path out of suffering. Feelings lead to craving, and craving leads to attachment — and once we are attached, we are committed to suffering. To give an example that I will amplify in a later essay: I am handed a bowl of ice-cream of a flavor new to me, I taste it (sense perception), I like it (feeling), I want more (craving), I want a second bowl (more craving), and I need to find out where I can buy it so that it is either always in my fridge or permanently available to me (attachment). In attachment we attempt to guarantee the object for ourselves, and the money we pay for the ice-cream goes towards securing the future production of it as well as the means of delivery — in other words, we make the world that guarantees us this ice-cream. Once we get to this point we are committed, shackled, and any disturbance of this security makes us unhappy. The same sequence of feeling-craving-attachment can be experienced in all our commitments: reading, career, friendship, romance, religions, philosophies. I experienced this, I liked it, I wanted more, I tried to secure it. In the suttas on craving, the Buddha asks us to notice that the chain starts with the link from feeling to craving, but that craving is not intrinsic to feeling: it is possible to be perfectly content with one taste of ice-cream, and indeed to enjoy it more that way. But the problem is that usually tasting, feeling, craving, and attachment all seem to happen simultaneously, “naturally,” in one thought. I can’t help liking this new ice-cream, but liking it “naturally” seems to mean that I must have it always. In mindfulness meditation, we slow down the apparently natural process and notice that tasting, feeling, craving, and attachment are each discrete. We can’t stop ourselves from perceiving, and we can’t stop the immediate feeling-reaction to the perception, but we can see that there is a chasm between feeling and craving. At first these categories seem too simple to be true, as if we were labeling each vedana with a crude emoticon. But the Buddha’s project here is to simplify, to pare the vedanas down to the barest and most undeniable characteristic of like, don’t like, or not sure. More sophisticated emotional overtones, such as “fascinating” and “sad,” are harder to nail down because they have so many thought-shadings and associations, and because they change so quickly and, indeed, wobble. The category of neither-pleasant-nor-painful is particularly interesting, because often it exists because of the other two: if you tend to like and dislike passionately, the extremes will create a neutral middle-ground that we mostly experience as “uninteresting” or “boring.” The phenomenon of a “boring life” is the artifact of an excessive attachment to what we “like” and “dislike,” an attachment that has somehow sprung from the initial feelings of liking and disliking. When we pay attention to those feelings as they arise, watch them in their courses, and notice that they do actually diminish, we will be much less prone to just letting them turn to cravings. We all know that the more we observe, the more we find there is to observe. When we started on mindfulness of breathing, it didn’t seem that there would be much to it, but as we become more perceptive, we start to find the act of breathing, in the whole body, infinitely interesting. The objects of sense perception are overwhelming in their multitude. As I sit here, if I pause my writing, I can notice all six of my senses going at one moment or another, and each distinct sense perception is accompanied by a vedana. There are hundreds in a minute. It is an athletic feat to keep up with them all, and the effect of even short bursts of contemplating feelings can be like a deafening, blinding bombardment of stimuli both from inside and outside. In one of the Buddha’s similes, we are compared to a flayed cow standing in a field, exposed to millions of stinging insects and the assaults of weather. In this exercise, we realize vividly how much there is going on in our experience all the time, and how easily we latch onto some things and feverishly shun other things. In this buzzing jungle of feelings, attachments — especially as attractions and aversions — form rapidly and then take on lives of their own that grow into monsters that consume us. But here we nip the attachments in the bud by just watching the feelings and letting them be: they arise, grow, dwindle, and vanish, equal in status, none of them getting preferential treatment, and none of them outcast. We do not know where they come from, why they came, or where they go to: we are not the authors of them. Having chewed on this paragraph after each of the exercises in contemplating body, we start to hear some of the familiar words with new ears. The bhikkhu lives contemplating in this way: it is not merely an exercise. And with feelings, we can become acutely aware of origination and dissolution, as well as both together. Nothing stays still. It is in the nature of feeling to be this way; indeed, there is no other way for feeling to be! When we want to secure unending access to the marvelous ice-cream, what we are trying to do is to repeat the pleasure of the first taste — to repeat it forever. But this is not in the nature of feelings, for no two spoonfuls of the ice-cream will result in the same feeling: if we attempt to repeat, we will be disappointed — and in our intense expectation of a repeat, we will block ourselves from experiencing something new. Yet “feeling exists”: there is no way, if we have sense perception, that it will not exist. We acknowledge it, and remember to heed the warning not to get carried away by our experience in meditation to make more of the ephemerality of feeling than it really is — for instance, not to elevate it into an aesthetic in which we strain to develop a sentimental, nostalgic relationship to the moment, as with much classical Japanese literature. We practice mindfulness to the extent necessary just for knowledge and remembrance, and certainly not for the pleasant feelings it might cause in us. If we want to believe that the experiencing consciousness is separate from and transcends the world of the body, we can — with the Cartesians — think of sense-perception and vedanas as being essentially of the body, because they are both in and of the kingdom of flux. But vedanas are interesting and problematic, because they shade into volitions and commitments; and, since there indubitably exist feelings of pleasure and pain towards mental objects of perception — ideas, thoughts, images, dreams — the vedanas have to be considered an aspect of the very consciousness that is experiencing the objects of the six senses. Even the least worldly person has vedana towards geometry, a Bach partita, the idea of God, the mystery of death. It is much harder, after undertaking the contemplation of feelings in feeling, to take refuge in the thought that “I” am the unchanging, untouched, witnessing consciousness standing aloof from the mutable world of matter.